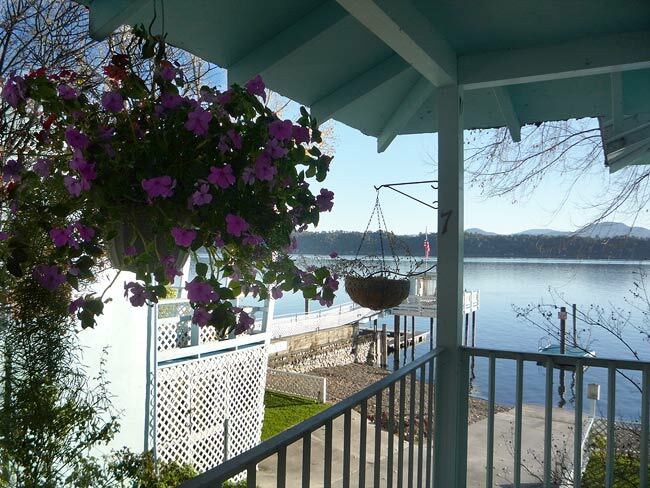 Blue Fish Cove welcomes you “Memories Are Made Here” Escape to the peace and quiet of a lake shore mountain vacation with lake views of Clear Lake and it’s incredible sunset AND sunrises! 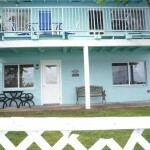 Also please click here and visit our Vacation Rentals at Baldwins Retreat. Come visit Blue Fish Cove Resort. Enjoy the following activities that our lake shore mountain vacation cottage rentals can offer. 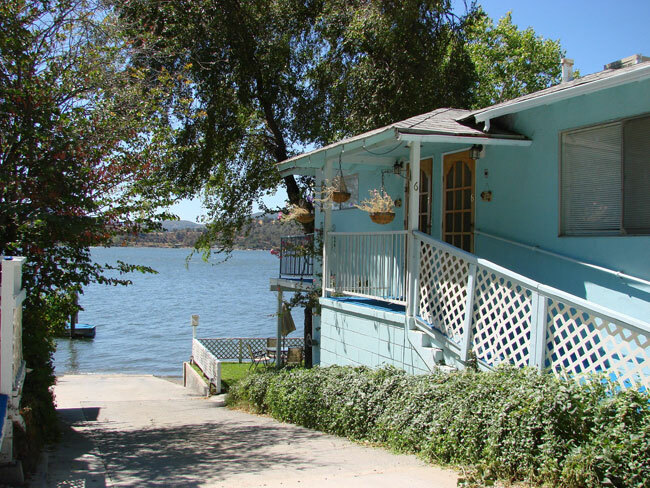 Here are a few things we personally invite you to come & enjoy at Blue Fish Cove Resort, Clearlake Oaks, California. COTTAGE #8 – THE BEACH HOUSE : Please click on any property to view current rates, photos, and details. 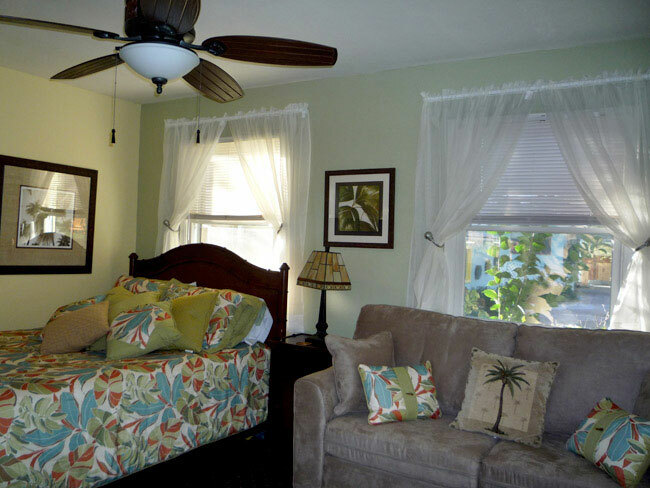 We pride ourselves in the cleanliness & comfort of our cottages. The Beach House is fully remodeled. It offers one bedroom with Queen bed and sleeper sofa and sleeps 4 comfortably. Cottages is equipped with: upgraded fully equipped kitchen with granite counter tops, coffee maker with complimentary coffee, creamers, refrigerator, stove, oven, microwave, toaster, coffee pot, cooking and eating utensils, salt, pepper, soap for dishes, and kitchen towels.This cottage has a large fenced front yard facing the lake and beach with private BBQ grill, patio furniture – BEAUTIFUL VIEW! The bedrooms and bath include a Jacuzzi Bath Tub, towels, bedding, flat screen cable television, DVD player, Air Conditioner & Heater. 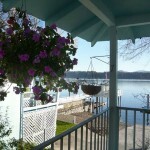 COTTAGE #7 – THE BOAT HOUSE : Please click on any property to view current rates, photos, and details. Our vacation cottages are clean with a bed and breakfast look. The Boathouse offers a spacious bedroom with a Queen bed, Queen Sofa Sleeper, bathroom, walk-in closet, and a large fully equipped eat in kitchen. This cottage has a large private lakeside Balcony, patio dinette set, a gas BBQ and best of all, panoramic views of the lake! We can also accommodate larger groups of people by using a combination of Cottage #6 The Fishing Shack with #7 The Boathouse, which has an inside adjoining door that can be unlocked for a much larger cottage. 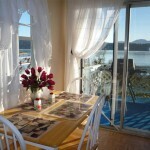 This will offer a large fully equipped eat in kitchen and panoramic view of the lake! COTTAGE #6 – THE FISHING SHACK: Please click on any property to view current rates, photos, and details. 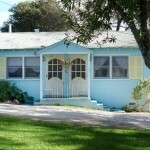 Our vacation cottages are clean with a bed and breakfast look. The cottage is a spacious room with two double beds. The cottage does not have a kitchen nor does it have a view of the lake.This Cottage has an Electric Fireplace Heater for the peaceful ambience of a Country Benjamin Franklin Wood Stove.We can also accommodate larger groups of people by using a combination of Cottage #6 The Fishing Shack with #7 The Boathouse, which has an inside adjoining door that can be unlocked for a much larger cottage. 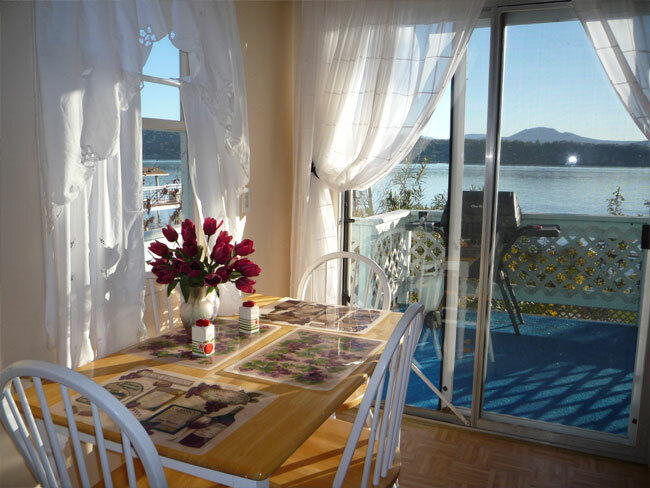 This will offer a large fully equipped eat in kitchen and panoramic view of the lake! COTTAGE #5 – THE LAKEHOUSE :Please click on any property to view current rates, photos, and details. 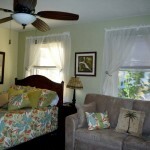 Our vacation cottages are exceptionally clean with a bed and breakfast look. The Lakehouse Cottage offers one bedroom, one bathroom, fully equipped kitchen, private balcony over looking the lakeAll of our cottages sleep at least four people comfortably. Cottage 5 offers a Queen bed, twin bed and a trundle bed.This room has a large private lakeside Patio and gas BBQ with a panoramic view of the lake. 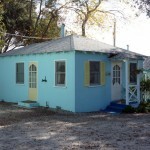 COTTAGE #4 – COCONUT SHACK : Please click on any property to view current rates, photos, and details. Our vacation cottages are clean with a bed and breakfast look. 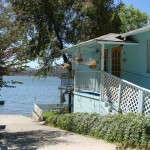 The Coconut Shack Cottage offers one bedroom, one bathroom, a full equipped kitchen, and a partial view of the lake. All of our cottages sleep at least four people comfortably. The Coconut Shack Cottage offers a Queen bed and a Queen Sleeper Sofa.This room has a gas BBQ with a partial view of the lake. 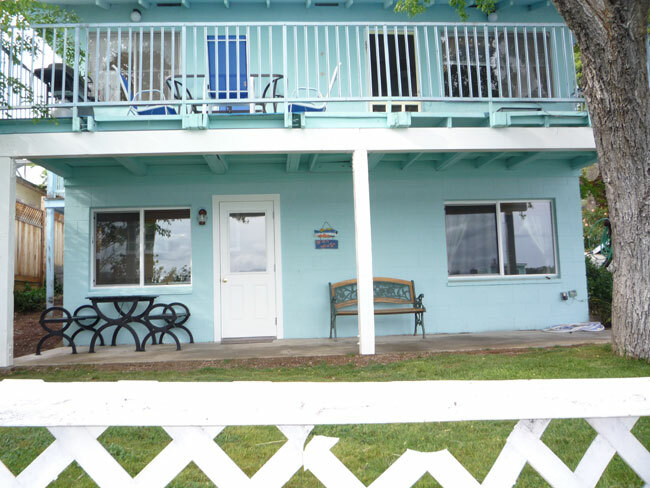 COTTAGE #3 – CAPTAIN’S QUARTERS :Please click on any property to view current rates, photos, and details. 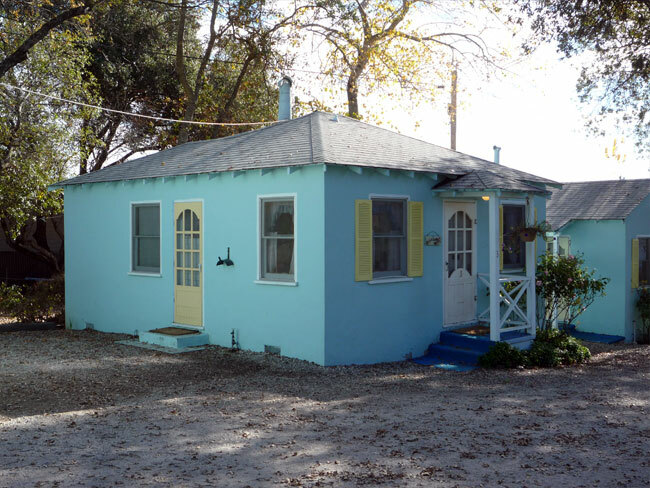 The Captain’s Quarters Cottage has two bedrooms. Main Bedroom is called the “The Master Stateroom” offers a Four Poster Queen Bed. the 2nd Bedroom, called “The Crew’s Quarters”, comes with bunk bed (twins) and a Futon Couch that opens to another Queen bed, or as a couch to enjoy the Flat Screen TV or just relax & read a book. Cottage also has one bathroom, fully equipped kitchen, and a balcony with table, chairs and gas BBQ. Captain’s Quarters is just great for large groups! COUNTRY COTTAGE #2 : Please click on any property to view current rates, photos, and details. Our vacation cottage is clean with a bed and breakfast look. One bedroom with a Queen bed, bathroom, a trundle bed, and fully equipped kitchen. The kitchen is large with everything except the food!Cottage sleep at least four people comfortably. We can also accommodate larger groups of people by using a combination of #1 & #2 or #6& 7 which have an inside adjoining door that can be unlocked.The Cottages have and Electric Fireplace Heater for the peaceful ambience of a Country Benjamin Franklin Wood Stove. 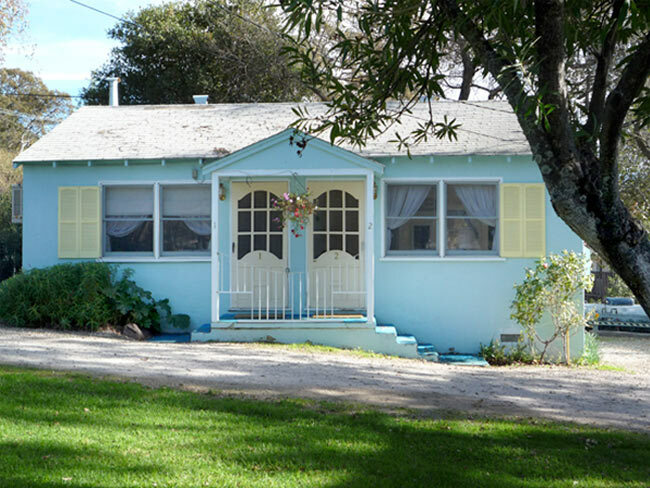 COUNTRY COTTAGE #1 :Please click on any property to view current rates, photos, and details. Our vacation cottage is clean with a bed and breakfast look. One bedroom with a Queen bed, bathroom, a trundle bed, and fully equipped kitchen. The kitchen is large with everything except the food!Cottage sleep at least four people comfortably. We can also accommodate larger groups of people by using a combination of #1 & #2 or #6& 7 which have an inside adjoining door that can be unlocked.The Cottages have and Electric Fireplace Heater for the peaceful ambience of a Country Benjamin Franklin Wood Stove.